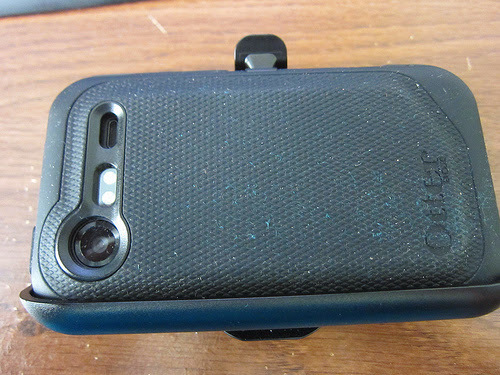 You are here: Home / How-tos / How to Remove the Otterbox case from your iPhone. If you are one of those organized type of people who like to keep every belonging safe and clean, you will be extra protective with your phone. No matter what other people tag you due to this attitude, take my word that it is a very positive attitude and it shows that you recognize the value of your phone. As the front line defensive protection, many people buy the Otterbox cases for their phone, especially; the series is quite popular among the iPhone users. Though, the Otterbox is simply a great solution to ward off all of the worries about the phone-care, you may have to remove it at some certain time. For example, if you have to remove the battery of your phone, you must remove the cover first. In this article, you will find the useful tips about how to take the Otterbox jacket off your phone without marking scratches on the phone or the cover. Are you looking to buy defender cases or an armband, then click here to buy one. In case you are using an iphone 5 armband with otterbox cases, you will have to unfasten it from your wrist and have to pull it out from the armband. It does not require any technique and is quite an easy task. You just need to follow the directions that have come with your armband and you will know how to do this. The Otterbox cases are of many types and all of them are assembled differently, so there are separate methods to remove the Otterbox cases. Look for a holster in your cover, open it and then carefully remove the silicone layer first. The best approach is to take it corner by corner, instead of trying to pull it altogether. If you unhook the plugs from every corner and take it off from the corner with little force, it will come out eventually. The benefit is that all the corners of the phone as well as the case will remain in place and the plugs will also remain undamaged. Whether it is a commuter series or the defender series, the otterbox case and its inner cover does not require the application of extra force to the do the work. It is rather a technical work than applying a lot of pressure. So, be very careful and do not force the cover to come out, following the right procedure, it will come out itself. If you have done it prudently, you will be able to reuse it in the future as well and can keep you phone safe and secure all the time. [Video] Guide to remove the Otterbox case from your iPhone.